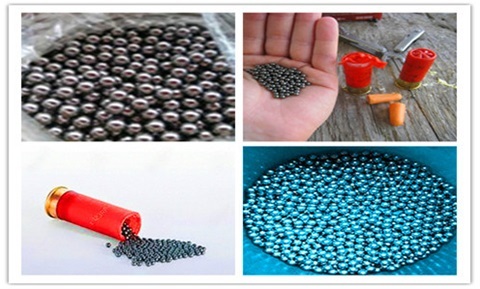 Why Use Tungsten Alloy Hunting Shot ? The shotguns are tools, not works of art, so a bit of streaking or scratching in the tube doesn’t bother you. If you have concerns, just switch to a hardened choke tube made for tungsten or steel. Tungsten is great stuff, and it will put a lot more birds in the bag, but for now, it is pricey. For the close-timber or flooded-marsh hunter, steel is still the most economical, but for the big Canadas and snows, this stuff drops them with a thud! High density, great hardness and resistance to high temperature make tungsten to be one of the most sought -after material for shot pellets in hunting history. Density of tungsten alloy shot is about 18g/cm³ comparable only to gold, platinum, or bismuth. Another unique property of tungsten heavy alloy is that it is non-toxic and environmentally friendly. Therefore, it is safe for people to handle and work with. It is our leading products, we can provide tungsten alloy shot as your requirements.